Transnistria President Yevgeny Shevchuk who is running for a second term has found himself in an uneasy situation, Mikhail Neyzhmakov, the head of the Center for Political Studies at the Institute for Globalization and Social Movements, told EADaily. So far the presidential race favorite is Parliament Speaker Vadim Krasnoselsky (relying on the poll conducted by the Russian Public Opinion Research Center on August 29-31 2016, their approval rating is 14% vs. 25% respectively), the expert said. “The incumbent president (or, for instance, the head of the region, district, city) may have a chance for victory in such situation too, if the votes of the opposition voters are divided between several strong candidates, and in the second round, representatives of a ‘third power’ support the pro-governmental representative. One of the most known examples is the Russian presidential election of 1996 when in the second round of election, Boris Yeltsin was supported by the ‘bronze winner’ Alexander Lebed. In Transnistria, the choice of the candidates who will run for president along with Shevchuk and his key rival will decide the outcome of the election,” Neyzhmakov said. The expert is not sure if the committee that was set up to bring the Transnistrian legislation in harmony with the Russian one will help Shevchuk to gain more votes. “The idea of integration into Russia has been used in Transnistria long enough to become a usual thing. Such initiative of the incumbent president has already been criticized by a number of local politicians (for instance, by Deputy Chairperson of the Supreme Council Galina Antyufeyeva, the head of Obnovlenie (Renewal) party faction Piotr Pasat). Yet, this does not mean that comparing to them Yevgeny Shevchuk is on a winning side even for the supporters of sooner integration into Russia,” the expert said. According to Neyzhmankov, what caught the attention of voters in election campaigns is bright, unexpected ideas or a feeling of their involvement into the election process. “In this sense, referendums or signature campaigns for an initiative may bring more votes to their authors than establishment of just another committee,” he said. On September 14, Yevgeny Shevchuk applied to the Central Election Commission to run for president for a second term. The incumbent president explained his decision with a “desire to continue the fight for the development of Transnistria.” Earlier this month, he came out with an initiative to bring the domestic legislation in conformity with the Russian one. Experts called that step a campaigning tool. The opposition to the incumbent authorities in Transnistria swept the parliamentary elections on November 29 2015. 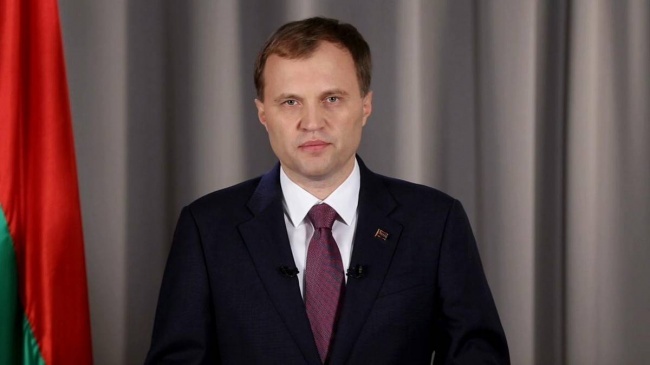 President Shevchuk’s team suffered defeat, as the opposition candidates received more than 80% of the seats in the parliament of the sixth convocation. The presidential election in Transnistria is set for December 11. The Supreme Council of the country has reduced the required voter turnout for the presidential election from 50% to 25% this year.